What Is a Sales Touchpoint? In marketing, touchpoints are the different ways that companies interact and share information with their prospects and customers. Sales touchpoints are used both pre- and post-purchase to engage with customers, as well as to communicate product information and benefits to help them decide whether to make a purchase. There may be multiple touchpoints in a buyer’s journey, including websites, social media, SMS, pay-per-click ads, and promotional emails. 59% of consumers have never deactivated an email address. Consumers’ behavior is changing, however, in that they often now have multiple email accounts. For example, 44% of the consumers in this study reported that they have their marketing emails sent to a specific email address. Study respondents also said that they may sign up for only 2 mailing lists on their work email accounts but sign up for an average of 14 mailing lists on their personal email accounts. Once you’ve gotten people aware of your brand and subscribed to your email list, you need to turn those leads into sales. This requires a multiple-touchpoint lead-nurturing campaign that can be powered by marketing automation. 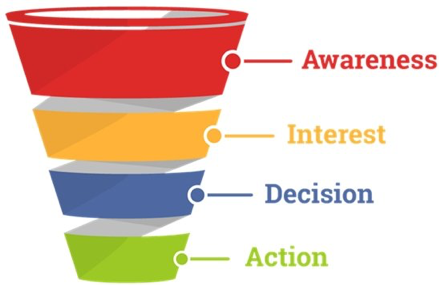 As with any sales funnel, a nurturing email campaign takes prospects through each stage of the buyer’s journey. That journey starts with awareness of your products/services, to building interest in those products/services, to helping a prospect decide if he or she needs (or really wants) what you’re selling, to taking action and making a purchase. What is the optimal number of touchpoints in an email campaign series to get consumers to take action? You’ll find that number varies depending on such factors as industry, buyer persona, and type of email campaign (e.g., welcome vs post-purchase). At FulcrumTech, we find that, typically, 5 or 6 touchpoints is a good place to start. However, some campaigns may require only 3 touchpoints, whereas others may require 8 or even more touchpoints. Which touchpoints lead to unsubscribes and spam complaints. Using this information can help you find the ideal number of touchpoints to include in your email campaigns—in other words, the number of touchpoints that will maximize conversions and minimize unsubscribes and spam complaints. In addition to optimization testing, setting up an email preference center is another way to help determine the best number of touchpoints to include in your campaigns. This gives your customers a say in how many emails they want to get from you. And segmenting your email list—based on how engaged your prospects and customers are, as well as where they are in the sales funnel—is yet another way to help you deliver email campaigns that not only have the optimal number of touchpoints (or frequency), but also the best cadence (i.e., the timing and pattern of emails sent). Although the focus of this article is on email marketing, every interaction that customers have with your company is a touchpoint. For example, signing up at your website to receive emails from your company, the triggered welcome email series you send in response, as well as reaching out through mobile texts and Facebook messenger—these are all touchpoints on the way to conversion. According to a recent Litmus survey, poor coordination among other marketing departments and channels is the biggest challenge that email marketers face in 2018. So, keep in mind that because your customers are omnichannel, your marketing channels must go beyond operating as independent silos for overall marketing success. Need help determining the best number of touchpoints for your email campaigns? Contact the email-marketing experts at FulcrumTech today, and we’ll help you develop a comprehensive email strategy that drives opens, clicks, and conversions to maximize the return on investment for all of your email campaigns.